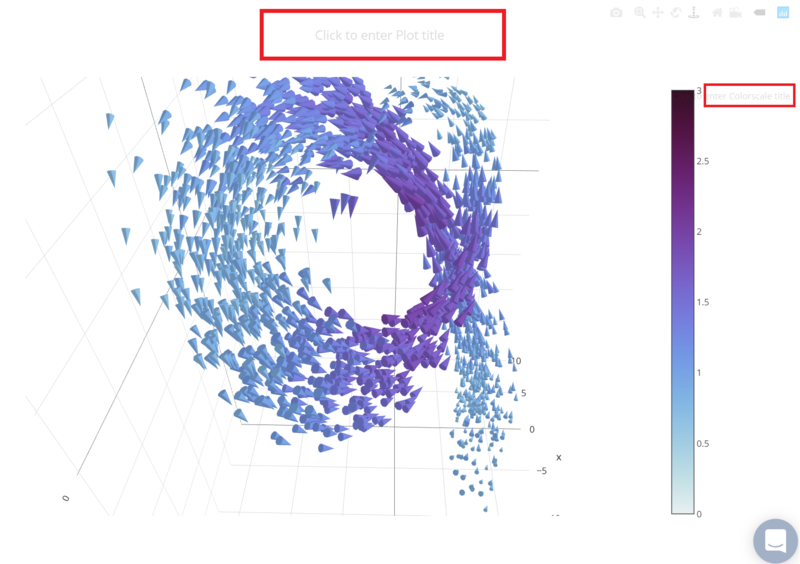 Use 3D cone plots to visualize vector fields in 3-dimensions. After adding data, go to the 'Traces' section under the 'Structure' menu on the left-hand side. 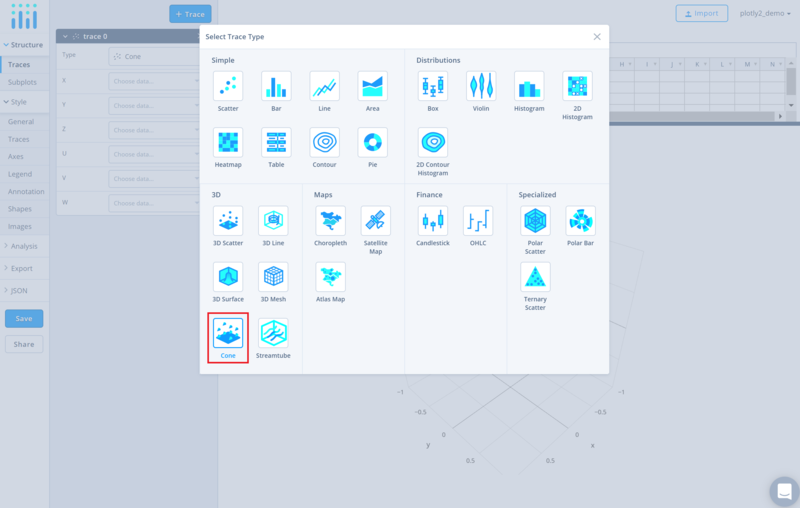 Choose the 'Type' of trace, then choose 'Cone' under '3D' chart type. 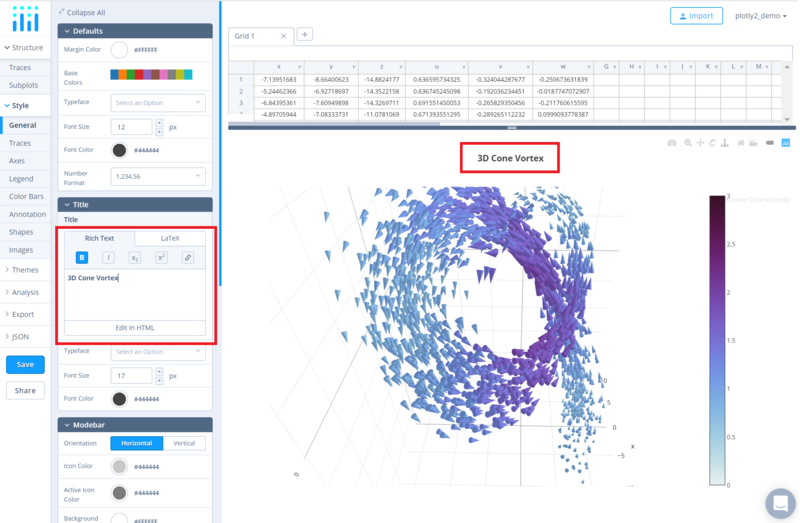 Next, specify the vector field of the cone trace using the six attributes: 'X', 'Y', 'Z', 'U', 'V' and 'W' using their resepective dropdown menus. 'X', 'Y' and 'Z' are the vector position arrays that set the X, Y and Z coordinates of the vector field, while 'U', 'V' and 'W' are the vector component arrays that set the X, Y and Z components of the vector field respectively. Note that the cones are drawn exactly at the given positions.